Then, as now, the Hitchcock Woods was a special place. It was bigger at the time, covering over 8,000 acres of longleaf pine forest and open fields. The land was purchased jointly by Louise’s husband Thomas Hitchcock and William C. Whitney in 1898. Whitney had been Secretary of the Navy under President Grover Cleveland and he was an avid horseman and philanthropist, who often used his wealth to help ensure the future of the equestrian sports that he loved. All the personal attention and labor these ladies and gentlemen put into the Woods is a testament to their devotion to it, as well as proof that it has always been an extraordinary place. 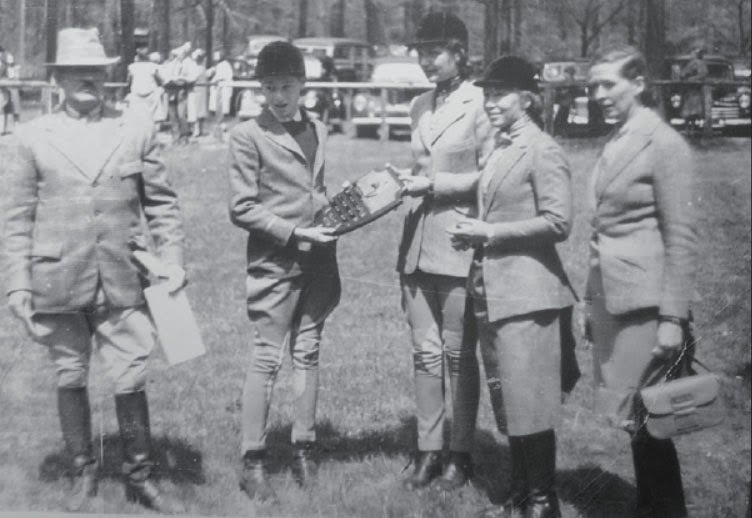 When Mrs. Hitchcock and her friends decided to hold a horse show, they could have chosen any number of places to hold it: after all, most of Aiken’s historic district was already devoted to horse sports, and it would certainly have been more convenient to hold the show downtown, especially if they wanted spectators. They did: in fact, not only was the first show advertised in the newspaper, the Hitchcocks even chartered a special train from Southern Railway to bring people in from Augusta. Automobiles have never been allowed in the Woods, but the Hitchcocks made an exception for horse show spectators. 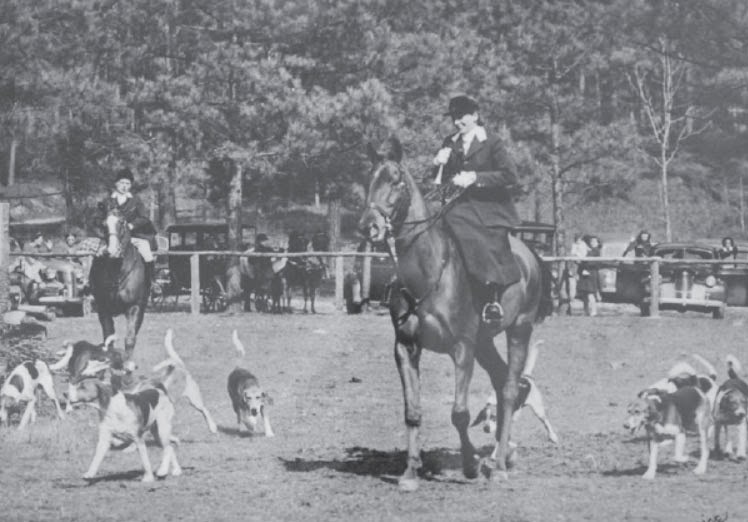 That tradition has lasted almost a century: the only time you can drive a car in the Woods is during the Aiken Horse Show, and the only place you can go is the horse show ring. Why did Mrs. Hitchcock want to hold her show in such an inconvenient spot? It would likely have been a bigger and more popular event if it had taken place closer to the center of town; somewhere with ample parking and within walking distance of the train depot. The best explanation is that the horse show was not designed simply to display horses and horsemanship, but to showcase the Woods itself. Mrs. Hitchcock loved the Woods. She was proud of it, and she wanted to share its charms. Ask anyone who has showed there and they will tell you that the Aiken Horse Show is not like any other show. The ring is a good mile into the Woods, past Memorial Gate, where the Aiken Hounds hold their annual Blessing of the Hounds on Thanksgiving Day. The show is traditionally held at the end of March, when the Bermuda grass that covers much of Aiken is still brown and dormant. The horse show ring, by contrast, is seeded with rye grass and is a vision of green. The jumps are all natural and decorated with flowers. Although cars are allowed into the Woods, horse trailers are not. This means that all the horses competing have been ridden there. When you come down the trail that leads to the ring, the scene before you looks almost unreal, as though you have been transported several weeks forward into spring, and many decades back in time. The horse show itself is an old-fashioned affair, designed for horses and riders who participate in the hunt, rather than for dedicated show horses. It is family oriented, with classes for children as well as a family class, which can include three and even four generations all riding together. There are other historic horse shows in the country that keep up these traditional classes, but they are few and far between. For the most part, horse shows have evolved into more professional affairs. The Aiken Horse Show has not, and it doesn’t want to. The show treasures tradition, so much so that one of its signature events these days is a sidesaddle division. Regular competitors at the show have a hard time explaining exactly what it is that is so special about it. Most will talk about the beauty of the ring itself, and about the strangeness of all of this activity going on in the middle of a forest. For many riders, the fact that they might have started showing there as children seems to weigh heavily, as well as the knowledge that the show has been going on for so long. In 1939, several years after Louise Hitchcock died, her children Tommy Hitchcock and Helen Hitchcock Clark established the Hitchcock Foundation, putting over 1,000 acres of their mother’s beloved Woods into trust. Over the years, other benefactors have donated additional parcels, and today the Hitchcock Woods comprises 2,100 acres. The Hitchcock Woods Foundation manages the property, which is likely the largest privately owned urban forest in North America. The Woods are open to the community and access is free of charge. 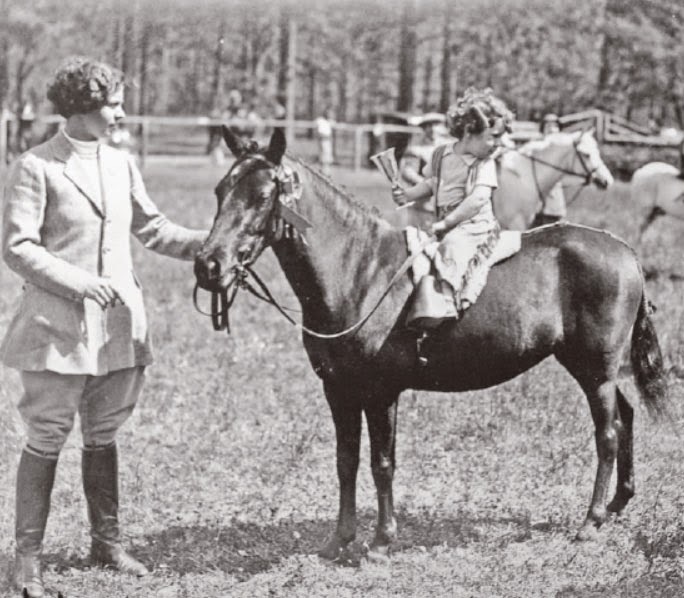 If Louise Hitchcock wanted to show off the beauty of the Woods back in 1916, the horse show was an excellent vehicle for her goal. It still is. Although the Woods are open all year round to riders and walkers, the show gives people a reason to go into the forest, and an opportunity to appreciate its beauty. That appreciation is important because maintaining the woods and keeping it free and open to the community is a costly project. Unlike state or city owned parks, the Hitchcock Woods receives no operating support through any taxes. almost a third of the foundation’s income. The foundation is a 501c3 charitable institution and tax deductible contributions can be made at any time. Supporters are also encouraged to become a Friend of the Woods, which can be done for a donation of $50 a year. In addition, buying a railside parking spot, a table at the luncheon, or donating to or buying from the silent auction, will all help underwrite the foundation’s substantial yearly expenses. 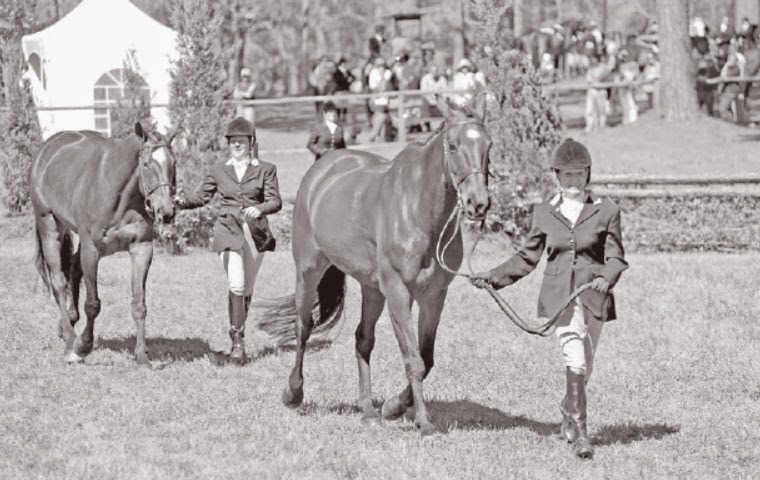 In the end, the Aiken Horse Show is not just special, it is also important. As the primary fundraiser for the Woods, it helps keep them healthy and open to the public. It keeps old traditions alive and provides a sense of continuity in an ever-changing world. 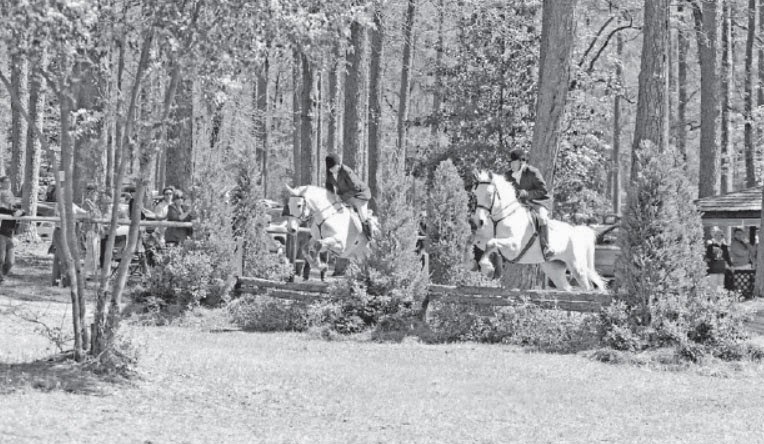 If the Hitchcock Woods are Aiken’s heart, it is the horse show that keeps that heart beating. Aiken is a unique place and these 2,100 unspoiled acres are among its primary assets. Without them, Aiken wouldn’t be Aiken. Show dates: March 27, 28 & 29. Starting time: 9:00 a.m. daily. To watch the show: Drive to the entrance at the end of South Boundary Road. Follow the signs. Tickets: General admission is free, but there is a $10 parking charge. Support the Woods and make a weekend of it by buying a railside parking spot ($100 per day) becoming a sponsor, or buying a luncheon package. Check the website for details and act quickly: space is limited. Silent Auction: Drop items off at The Green House at the South Boundary Entrance. Email Jane Page Thompson with questions: janepagethompson@gmail.com. To buy, come to the show with your checkbook. Competitors: trailer parking is at the Stable on the Woods parking lot on Dibble Rd. Be prepared to hack in and stay a while. Water for your horses is available, but bring your own bucket. Classes: Old fashioned hunter show classes, including a sidesaddle division, a qualified foxhunter division and a new and popular division for “silver foxes” over the age of 55. For kids: leadline on up. Costume class on Saturday afternoon is always a hit! The full class list is on the website.